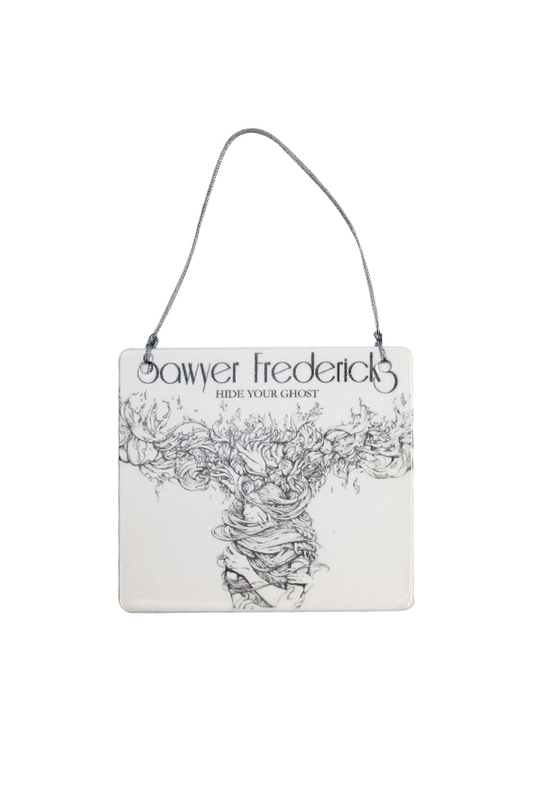 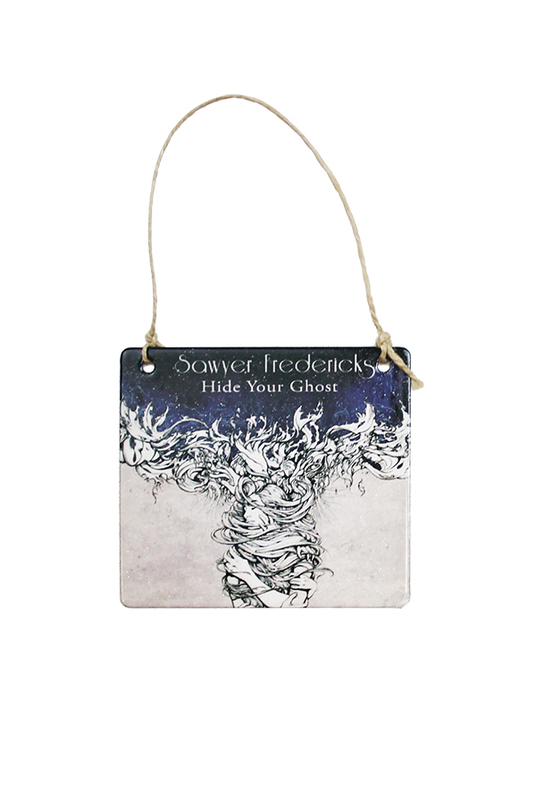 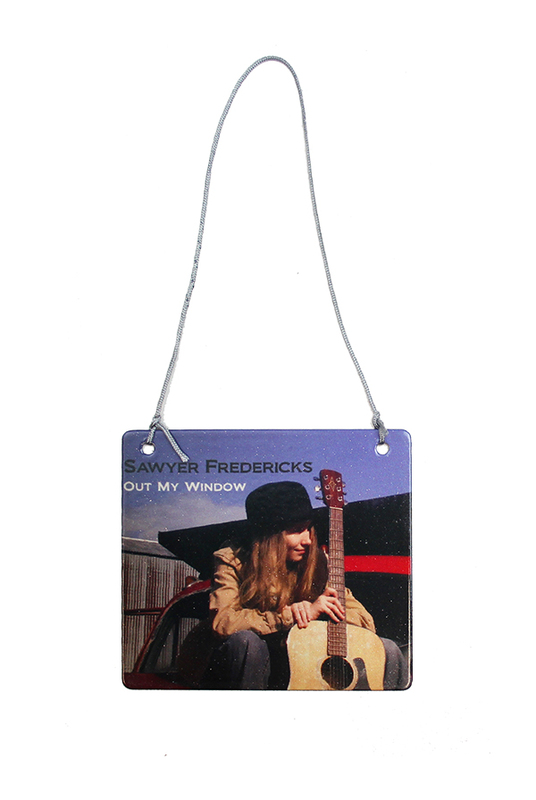 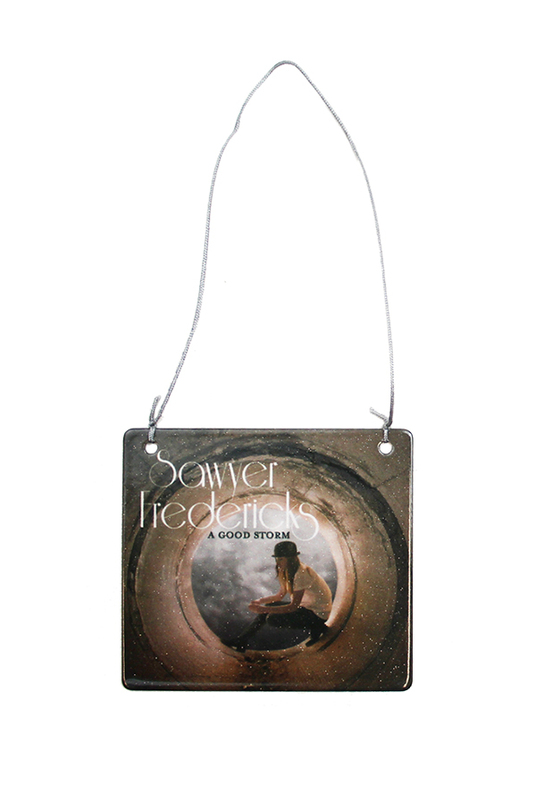 High Resolution Images of Sawyer's Album Covers fused to stainless steel plates, finished with a durable glossy coat embedded with sparkly flecks. 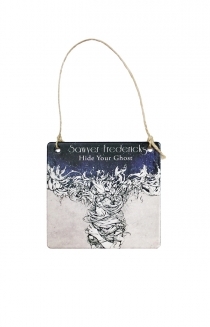 Each rectangle shaped Ornament/Plaque measures 3 inches X 3 inches and has 2 holes molded into the top corners of rectangle to thread ribbon or rope for hanging, ribbon/rope included. 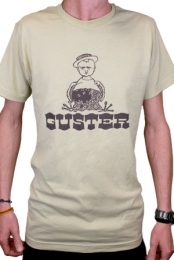 Made in the USA by D'ears of Minnesota. 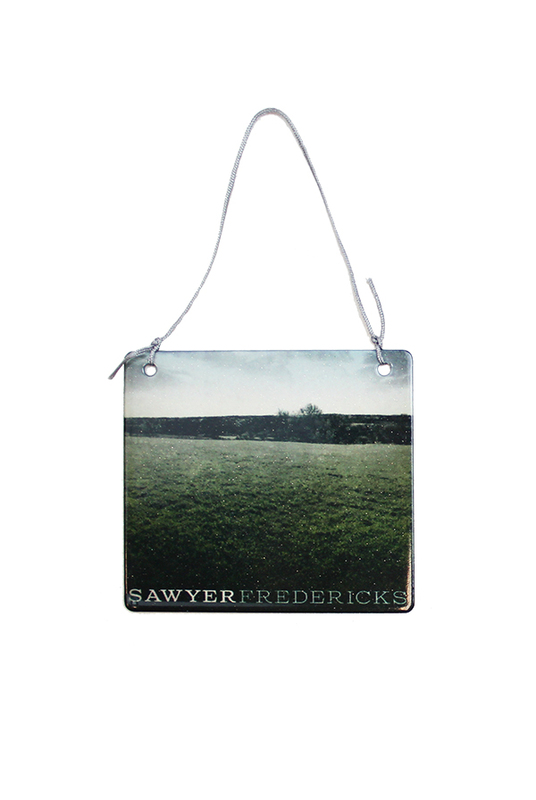 Collect all five of Sawyer's Album covers!